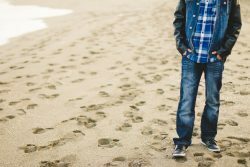 Home › How Can My Counselor Help Me With the First Steps? The first 5 steps are usually the focus of the 12-step program as utilized by an addiction treatment center. Your counselor will be able to help you adapt these steps and learn to make them work for you in the best way possible. If you have been suffering from addiction, call 800-839-1686 today, and find a rehab center that will help you put an end to your dangerous drug or alcohol abuse. According to the National Institute on Alcohol Abuse and Alcoholism, the first five steps receive “primary emphasis” in 12-step facilitation therapy, a treatment approach that is often utilized in professional rehab programs. This is partially because it is so important for the recovering addict to focus on themselves during their early stages of rehab and because it can be difficult to follow the advice of some of the other steps during this time, especially if one is in a residential facility. Your counselor will often focus on––and help you work through––the first steps of AA while you attend your formal treatment program. Your counselor will help you adapt the steps to fit your personal situation. Each and every individual should be able to adapt the steps of AA somewhat in order to better fit their specific needs. Your counselor can be instrumental in helping you do so. Adolescents, female patients, LGBT+ patients, and individuals in the criminal justice system all have different needs than those who do not fit into these specific groups. The first five steps (as well as the other seven) can be adjusted and adapted in order to fit these needs. Your own personal situation may call for some adaptation as well. If you are not a religious individual, the term ‘“Helping Power” instead of “Higher Power”’ can be more beneficial, or you may want to choose something more ambiguous like the Universe or nature (Substance Abuse and Mental Health Services Administration). The anonymous nature of AA and the fact that it has been around for a long time have both worked to create an air of mystery around the program. Your counselor can help answer any questions you may have about the program, including these first steps, and guide you through them so that you will not feel confused or doubtful about the nature of your recovery. It can be tempting to move on to other steps when you become stuck during recovery, and sometimes, this can be helpful. But there are other moments where your attention needs to stay focused on something important: a certain step, your own healing versus the healing of someone else, your acceptance of your need for recovery, etc. Your counselor can also aid you in maintaining your focus during your early recovery on these 5 steps, which can be essential in allowing you the space and time you will need to truly succeed with them. Do You Need Professional Treatment for Addiction? Call 800-839-1686 now, and we will help you find rehab programs where you can recover safely from addiction and begin your journey through toward recovery.